Much like the Thunderball underwater ballet scene, 007 really can’t expect to go snooping around the baddie’s lair without expecting to be shooed away. And also similarly, the guardsmen sent to repel their borders have not quite got the gear to see off a Lotus Esprit armoured up to its gills, with mere harpoon missiles. 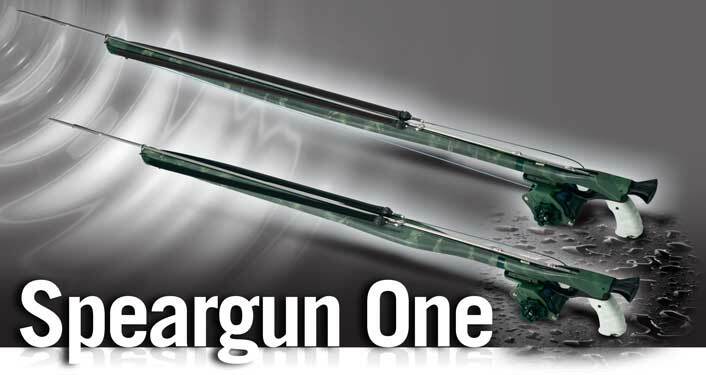 The lightweight aluminium SpearGun by Sporasub has three main components. 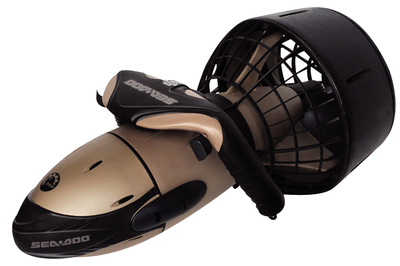 The barrel is equipped with an integrated shaft guide towards the head and a cuttlebone-shaped -belly- towards the handle. The camouflage design and high quality materials used in construction prices the gun at around £256 and it also comes in four different model designs. 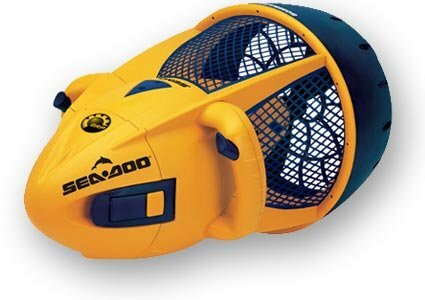 At under £145 The Sea-Doo Seascooter Aquanaut is ideal for kids snorkelling up to ten feet, swimming or playing in the pool. 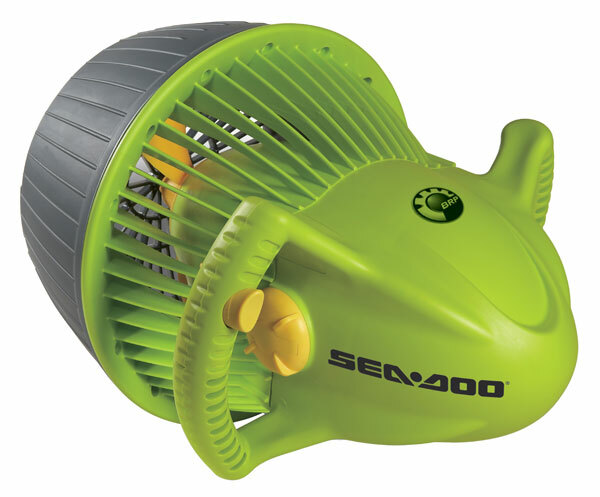 At around £240, and although lightweight, the Sea-Doo Seascooter Dolphin travels at 2mph and is used for more experienced snorkelling participants. 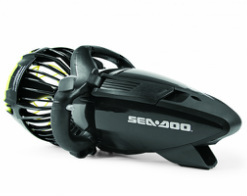 At around £1250, this top of the range Sea-Doo RS1 features a top speed of 4.35mph and runs on a 90 minute chargeable battery at 500 watts.